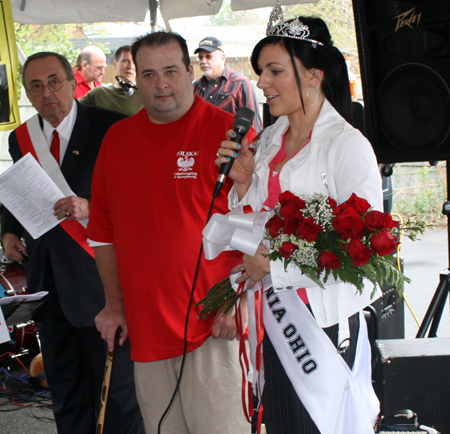 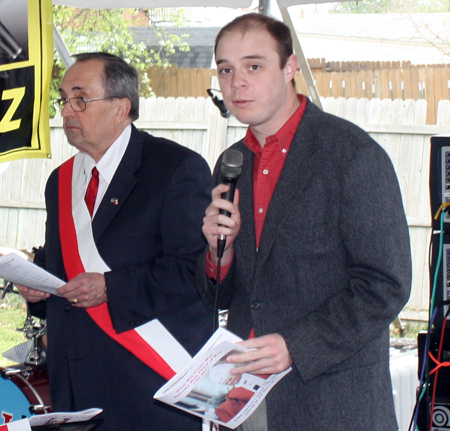 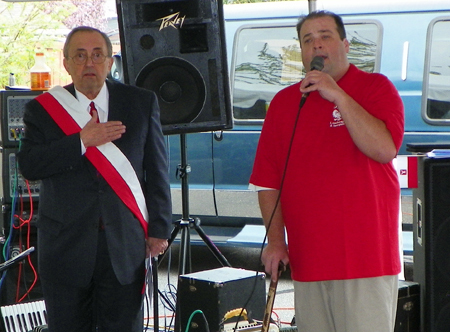 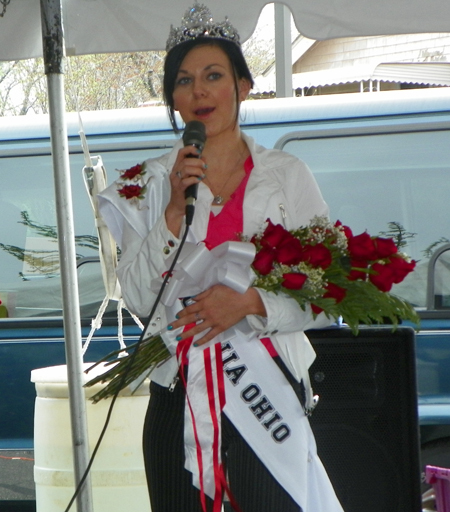 After the Parade to celebrate the 220th anniversary of the Polish Constitution, the Polish American Congress Ohio Division held a program. 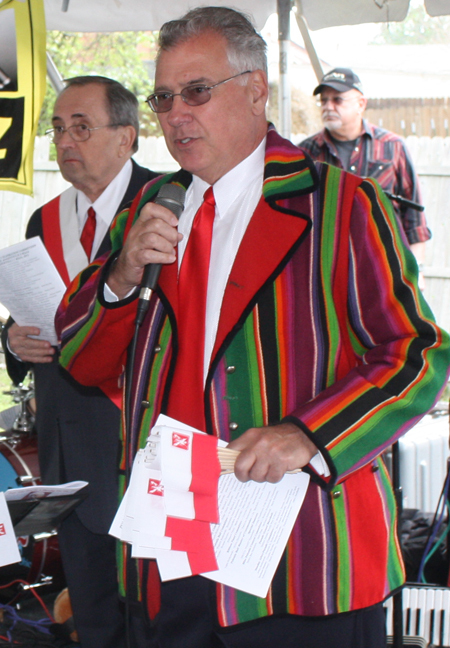 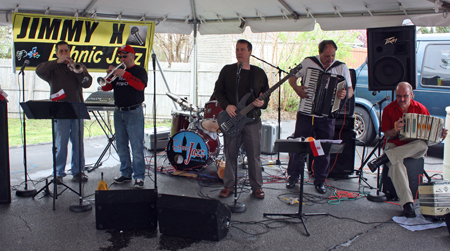 People danced to the polka music of the Jimmy K Ethnic Jazz Band. 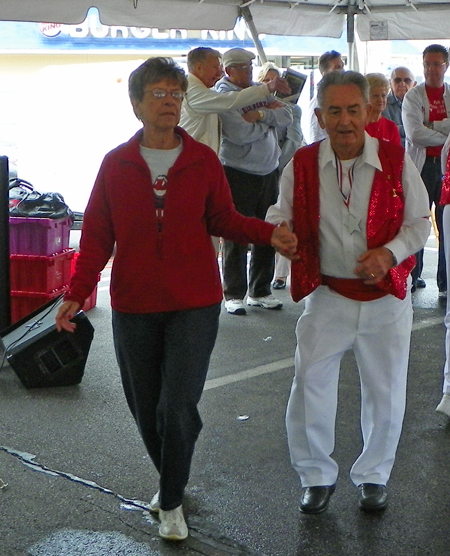 They were also entertained by the Raisin' Canes from the Parma Senior Center. 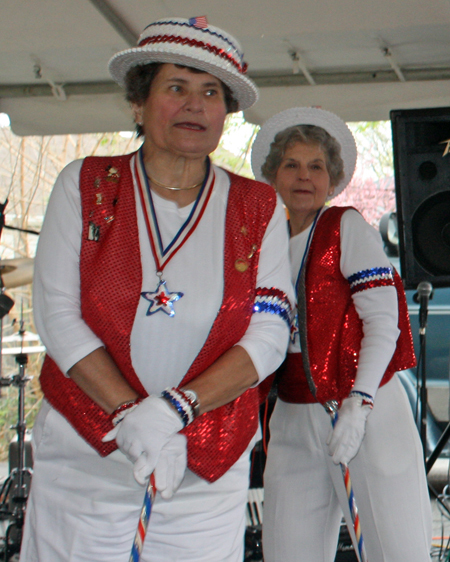 See more photos and video of the Raisin' Canes performance. 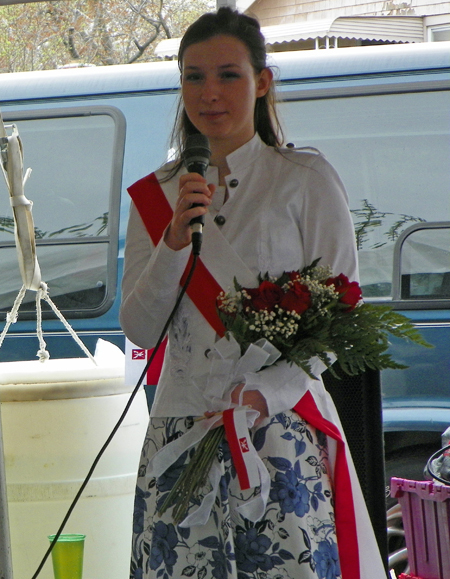 In between the performances was a program to celebrate the 220th anniversary of the Polish Constitution. 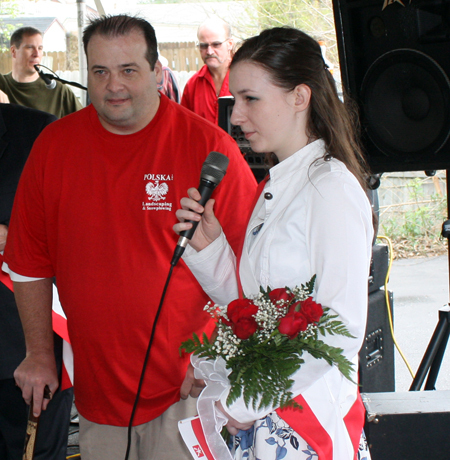 The Polish Constitution of May 3, 1791 was the first constitution to follow the 1788 ratification of the United States Constitution. 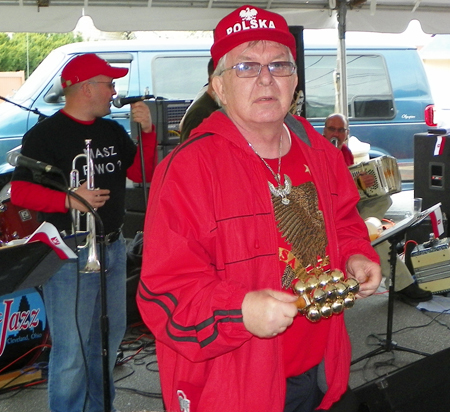 May 3 was restored as an official Polish holiday in April 1990, after the fall of communism. 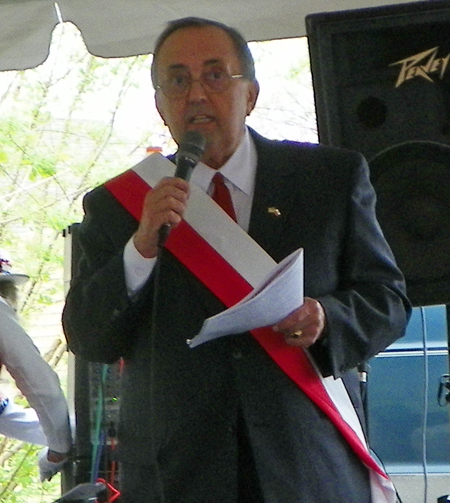 The program began with a welcome by Francis A. Rutkowski, First Vice President, Polish American Congress, Ohio Division. 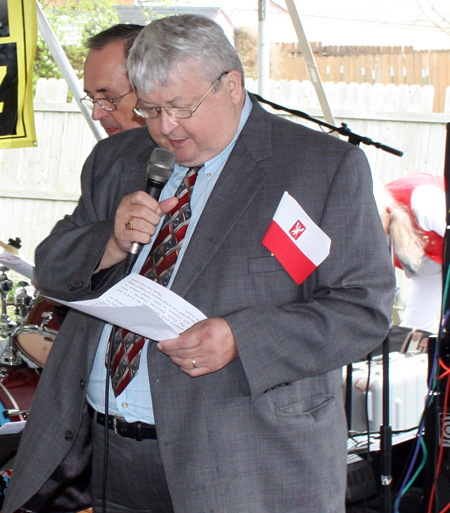 He introduced Walter Borkowski, Alternate National Director, Polish American Congress, Ohio Division who sang the National Anthems of Poland and the United States. 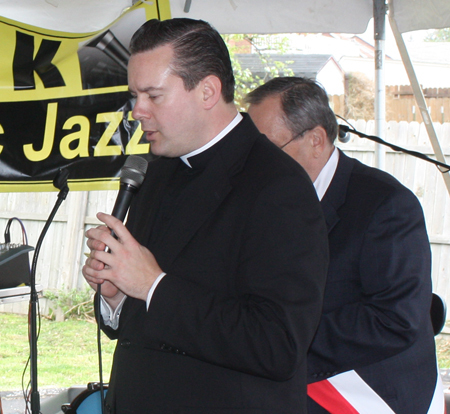 Next, Rev. 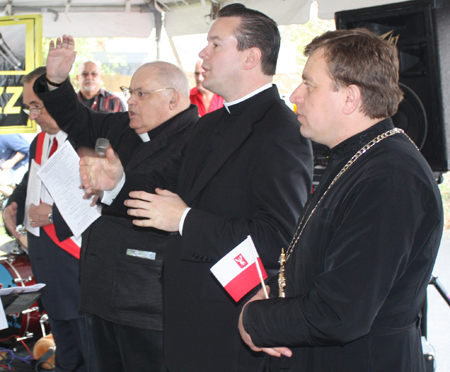 Eric Orzech, National President of the Polish American Priests Association, led a welcoming prayer. 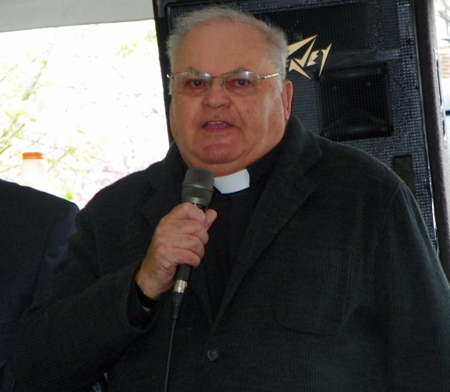 John Borkowski spoke of the the importance of the Polish Constitution. 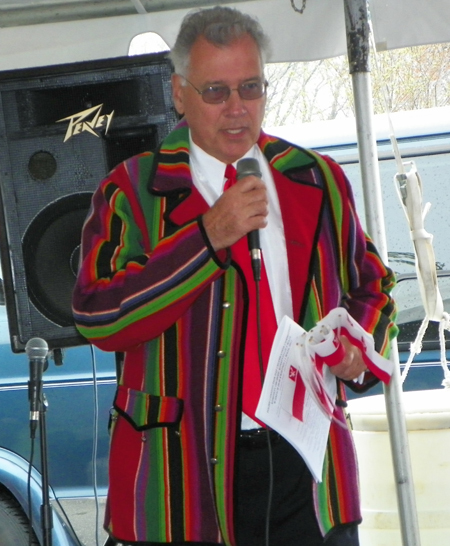 Then, Very Rev. 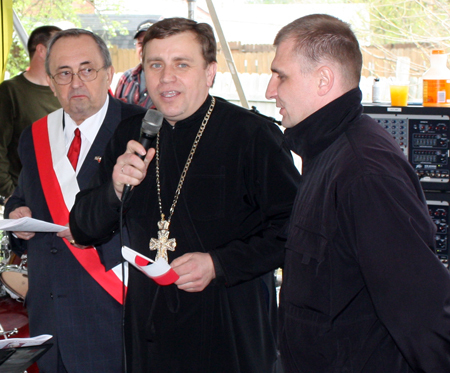 Bohdan Zhoba of Holy Trinity Ukrainian Orthodox Church sang a prayer.